Angle of descent 54 degrees. 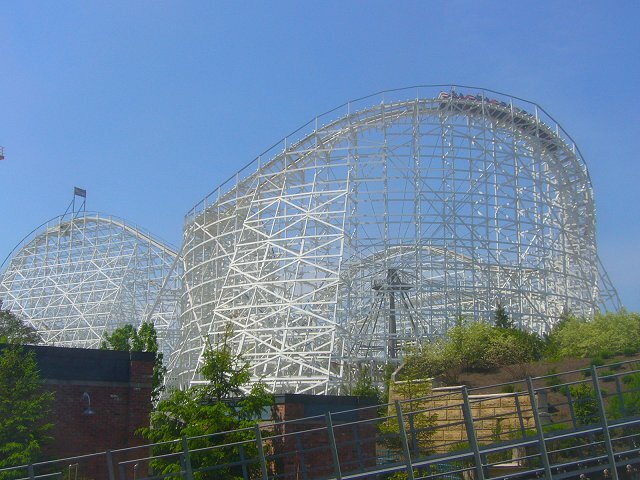 The Cyclone is one of the largest, most exciting wooden roller coasters in the world. Riders rise up one of the world's steepest lifts before roaring down 90 feet into high-speed turns and towering hills.